Monte Carlo page | More of the Monte! | Monte RPO List | Z-28 Page | Z28 DYNO! | Camaro Mods | More Camaro Mods | Z-28 RPO List | My Impala Page | the Impala after the wreck | Friend's cars | My family and I page....(under construction) | Links/ Contact me! This page is just for my Pace Car Monte Carlo. 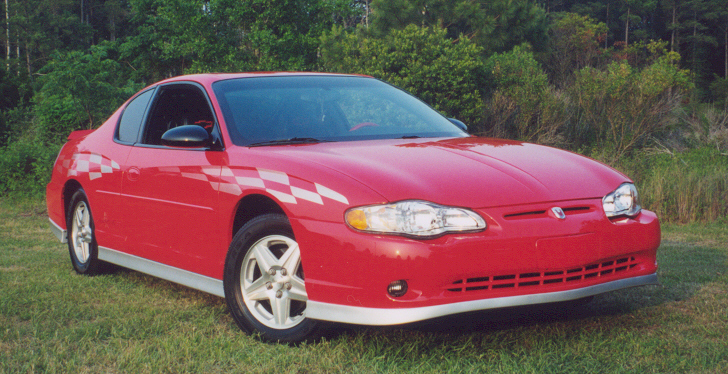 My Monte Carlo SS Pace Car is number 1087 out of 2222 made in 2000. 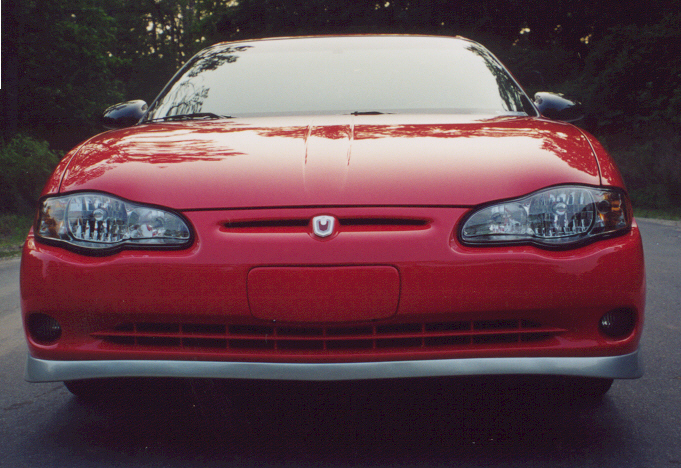 All the 2000 models were Torch Red. In 2001, the Pace Cars were Black, and I believe they made 1300 of them. 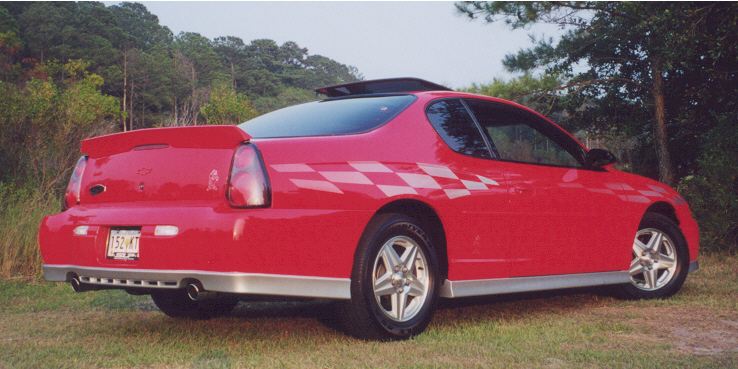 Chevrolet also offered a High Sport Appearance package for 2001, which came with the Pace Car spoiler, ground effects, exhaust, and wheels. Here are some pics of the front and rear of the car. Most people do not like the rear of the new Monte's, and I was one of them. 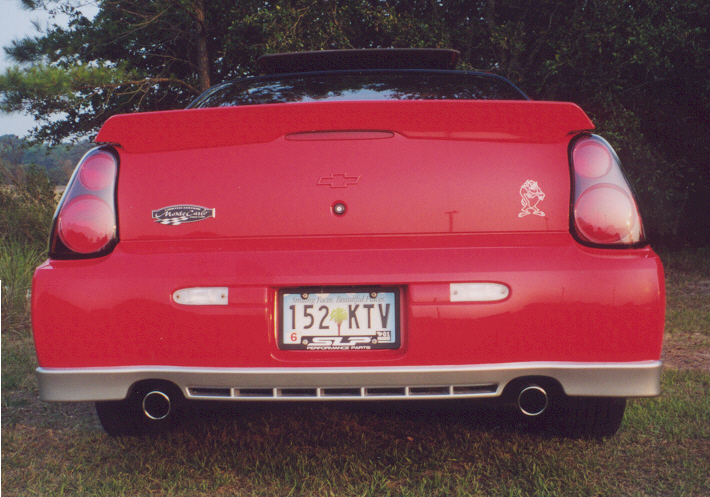 But when I saw the rear with the Pace Car spoiler, it made the world of a difference! Above are a few pictures that I took on May 6, 2001.